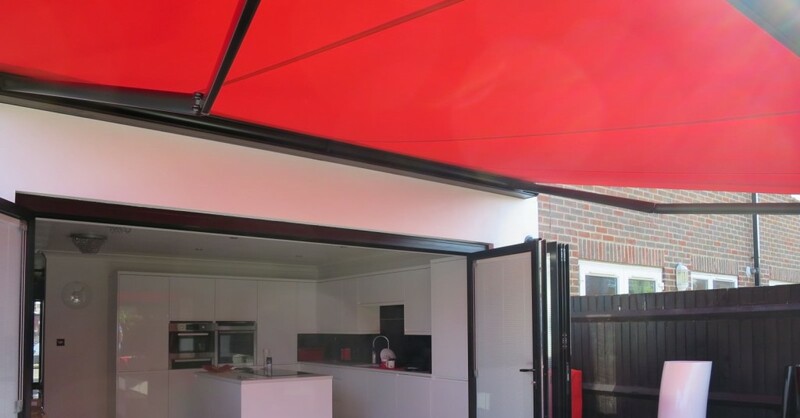 Electric Awnings can be opened and closed with the touch of a button providing lots of functionality benefits as well as making your time outdoors even more relaxing. 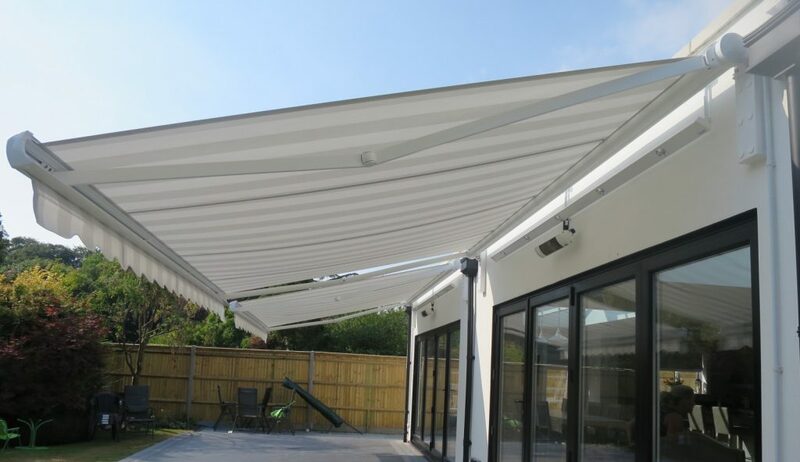 Special automated functions can retract the awning when it gets too windy or roll it out when it gets too hot. 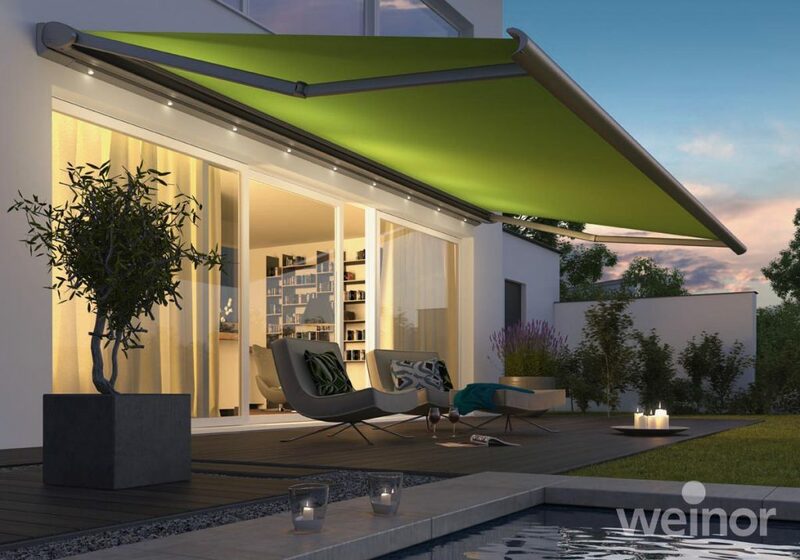 Plus, today’s Electric Awning technology is extremely advanced giving you wireless and automated operation that is built to last. 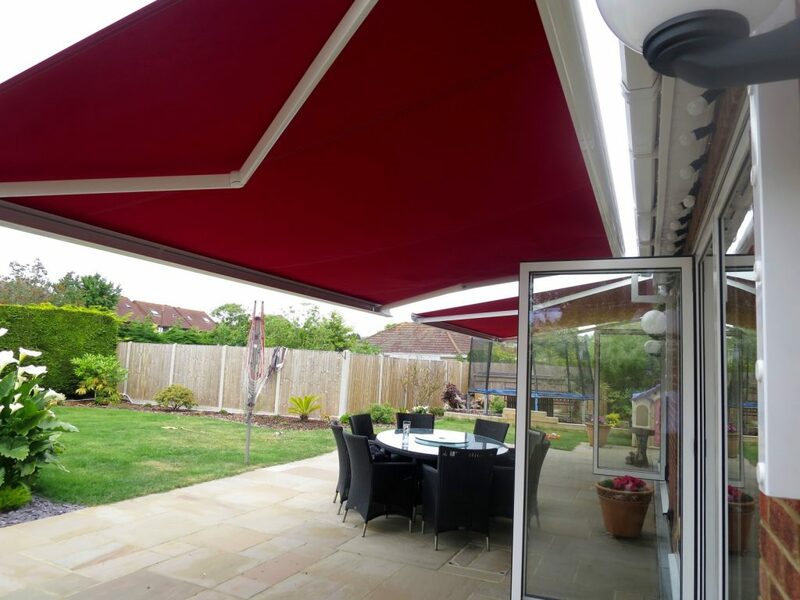 All of our electric awnings are made to measure. We’ll visit your home to take exact measurements and help you to choose a product and style to best suit your needs and style of property. The electric awning is then made to order. 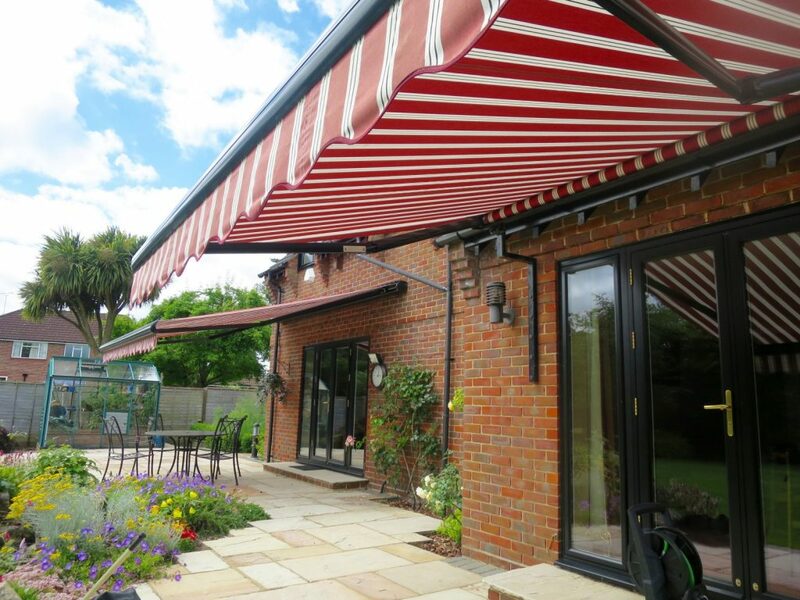 Furthermore, our powder coated brackets can be colour matched to any awning cassette colour. 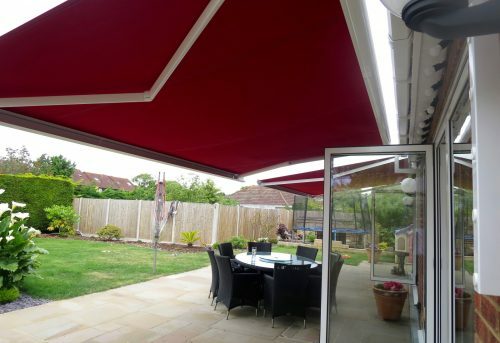 We have a range of over 189 high quality awning fabrics to choose from including traditional stripped and modern colour block designs. We can also offer customised fabric colour matching. Plus, enjoy your outdoor living space come rain or shine all year round with our shower-proof fabric as standard. Our highly experienced installation team will fit your new electric awning quickly and efficiently and with utmost care for your property. 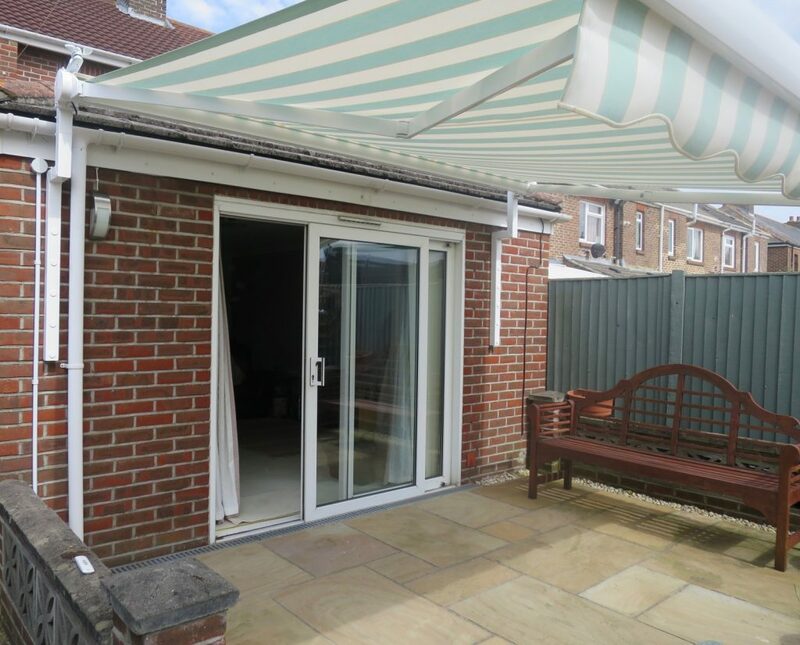 We aim to get your new awning fitted within 2-3 weeks from ordering and a 3 year guarantee as standard. 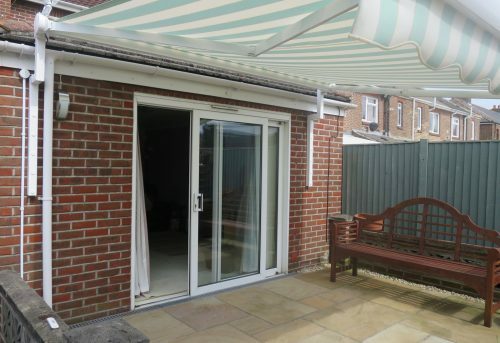 Alternatively, we offer discounted rates if you want to fit the awning yourself. 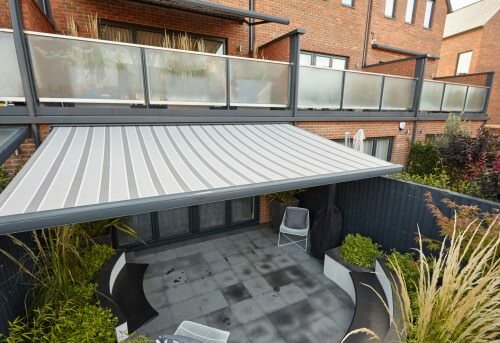 All of our electric and motorised awnings come with Somfy technology. 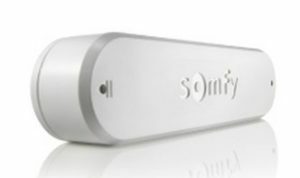 Somfy is the market leader in door and window automation and has sold over 100 million motors worldwide. Constantly evolving and innovating, Somfy are continuously looking for new ways to make your time at home or in the workplace more comfortable. 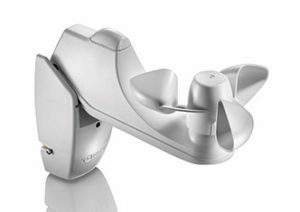 Somfy motors use RTS technology which provides wireless functionality using radio waves. 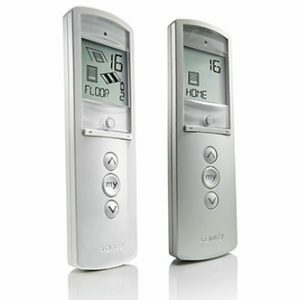 This makes them extremely easy to install and operate via a remote. You can even integrate other smart technology home appliances into the same system so that everything can be controlled from one place. Furthermore, all Somfy motors are tested and checked thoroughly and come with a 5 year guarantee from the date of manufacture. 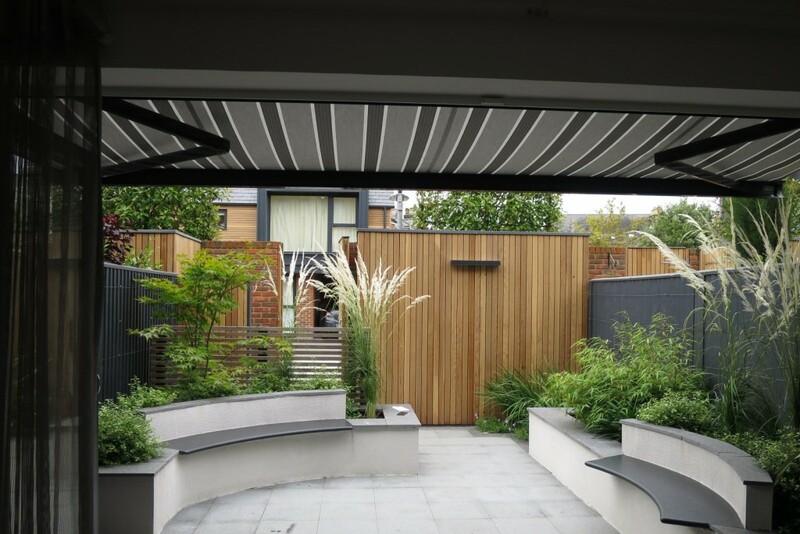 Electric awnings do away with manual handles; at a click of a button your awning will open and close gently, quietly and efficiently. 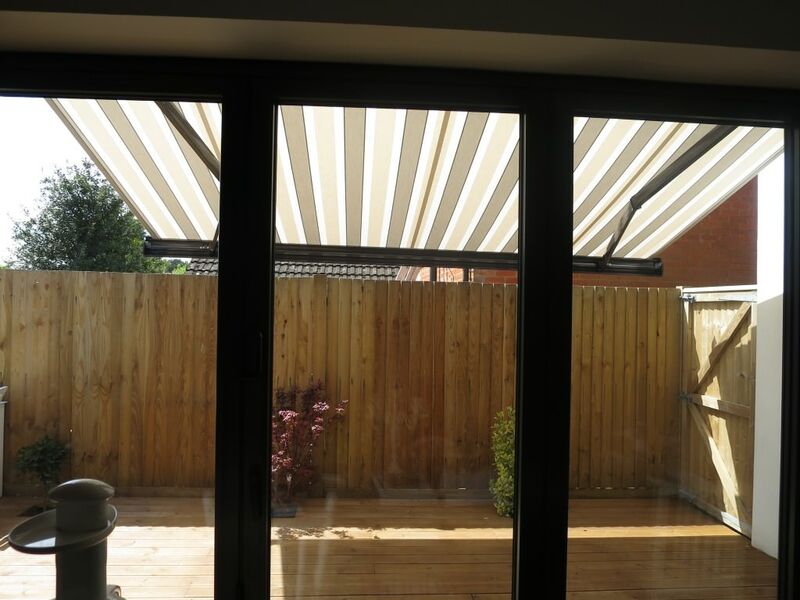 You can even use a remote control to operate the awning so there's no need to disturb your relaxation. 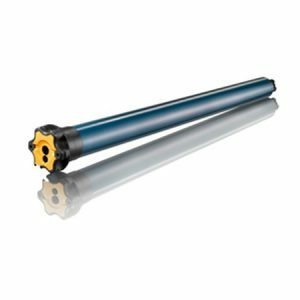 The super smooth motor will gently set and retract the awning fabric using a high quality motor and keep it taut. 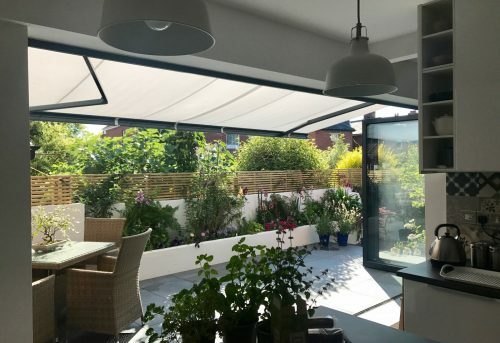 Our electric awnings can be lowered to any height that you would like, quickly and easily to allow you to adjust the amount of sun or shade you want to enjoy at any time of day, all with just the push of a button. 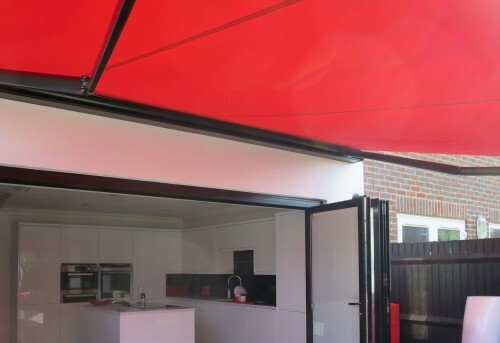 Choosing an electric awning will allow you to seamlessly integrate useful automatic awning accessories including heaters, wind sensors and lights which will enhance your awning capabilities. 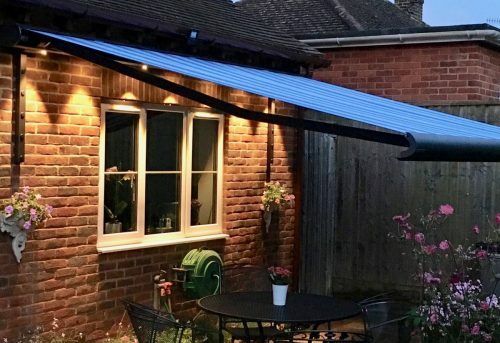 If the wind gets too strong the automatic wind sensor will simply roll the awning away so you don't have to worry about the weather forecast. If you want to enjoy some alfresco dining in the evening why not install an efficient outdoor heater and an LED light bar which will keep you and your guests comfortable all night. 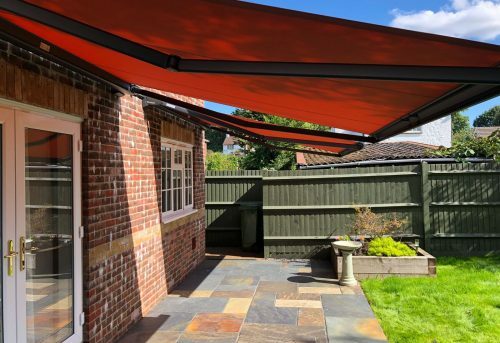 It's important not to overstretch your awning to avoid long lasting damage but our electric awnings have built in sensors which ensure that your awning is retracted to exactly the right distance to keep it taut but not too tight. 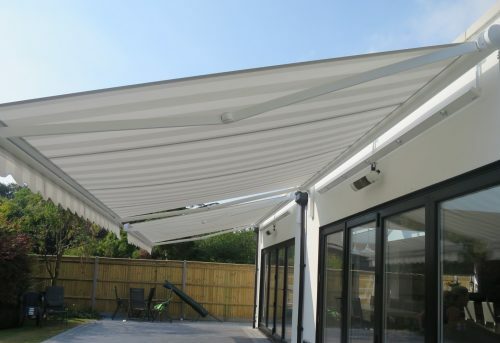 This makes our electric awnings extremely sturdy, strong, durable and they also look very neat and tidy at all times. 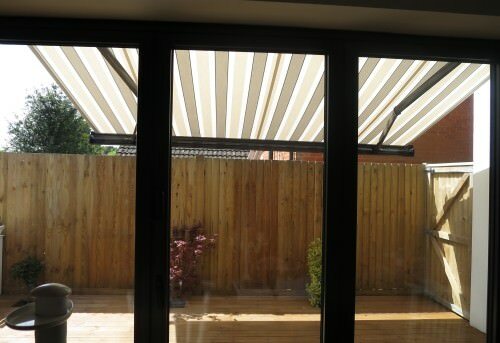 Electric awnings retract very gently and with precise control which helps to reduce the risk damage from opening and closing the awning repeatedly over time. 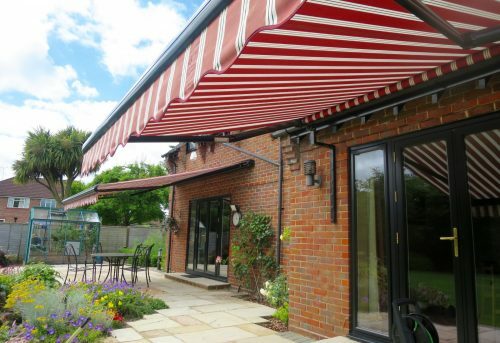 The result is a beautiful looking awning for longer.